What is the nature of collaboration, of one artist working with another artist to create something together? What happens when the collaborators come from different cultures, countries, incredibly complex and differing aesthetic histories? What is built upon and what is concisely shaven away? Where does the conversation begin, and where does it evolve during the creative process? Two hands being held is an image abstract though representative of collaboration, and it is also the image evocating balance, unity, gentleness, and a grateful reciprocity. 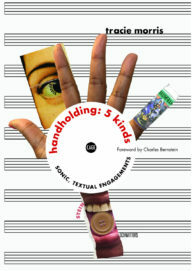 Tracie Morris, in handholding: 5 kinds, demonstrates what it means to collaborate on such levels, with the hands of two creators pressing inward toward each other. Here we have Morris inspecting her own spectrum of creative inquiry, paying attention to the crossing of time, of genre, and of style between those she appreciates and the voices and creative ranges within herself. This densely-built book, supplemented with digital recordings of all Morris’s pieces, is an exquisite folio of her explorations, interests, passions, and inquisitions of her other artists, of her aesthetic dualities. As much a book of Morris’s voices, handholding: 5 kinds affords new glimpses into the primary works of Morris’s dead and living collaborators: Eyes Wide Shut by Stanley Kubrick, Seven Songs for Malcolm X by John Akomfrah, Tender Buttons by Gertrude Stein, Ursonate by Kurt Schwitters, and 4’33 by John Cage. In each of the inspiring works, Morris has found conceptual approaches to redefine, readjust, and impress upon herself the key ingredients of these artistic masters. Morris identifies, attaches, and coexists before arising and creating something new. “eyes wide shut: a not neo-benshi read” is a poem that is also a performed script, a superimposing on the original that is designed to be experienced along with the played film. “Songs and Other Sevens,” on the other hand, provides similar direct responses to and evocations of the scenes and fragments of film (Seven Songs for Malcolm X) but, as Morris describes, can exist on its own, a chant-poem capable of funneling her personal and cultural history with X more directly, intently. The pieces crafted out of and in response to Tender Buttons, which fall under the name “If I Re-viewed Her,” focus on heavyset linguistics and form complex chains of delirious musing. I imagine Stein reading the re-view in dashes of pride and acceptance. With “Resonatæ,” the energy and sound poetry polemics achieved by Schwitters are taken even further with Morris’s slightly melodic, powerfully Dada approach to her own voice’s upper and lower limits. And finally, the Cage recording: pure, sweet, silence—the ultimate balance to the rest of handholding, and the ultimate homage to the environmental sound artist. Opening the book brings us closer to Morris’s mind. Each primary artistic work is described and explored in detail via individual prefaces, providing the personal and artistic contexts and historical relationships Morris developed with her collaborators. 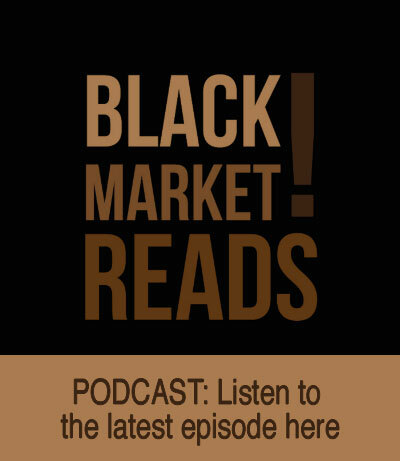 In the case of Eyes Wide Shut, Seven Songs for Malcolm X, and Tender Buttons, the primary works themselves are provided in full in textual form and can be experienced through the book alone, though the recordings of Morris’s impassioned and poignant readings of the works are also available. 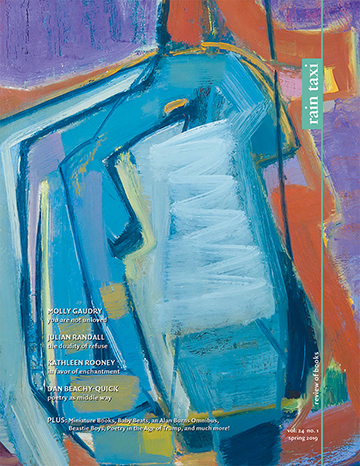 Her works responding to Schwitters and Cage are described in the book with their own prefaces, but must be engaged auditorily to be experienced. The collaborative processes seen in Morris’s book provide us with an ekphrastic and ecstatic way of looking at intentional artistic relationships. Though four of the artists have long-since passed away, hearing Morris describe their work through her new work is a close affirmation to the beautiful presence of their spirits in this century. Morris goes far to provide comprehensive explanations to these collaborations. Her work in such directions demonstrates a powerful level of depth in appreciation and awareness of the lineages we all face, admire, and hope to work with through our individual lenses. And how we work, as Morris demonstrates through her beautiful range, starts best with a holding of hands.